“Second star to the right and straight on ’til morning. 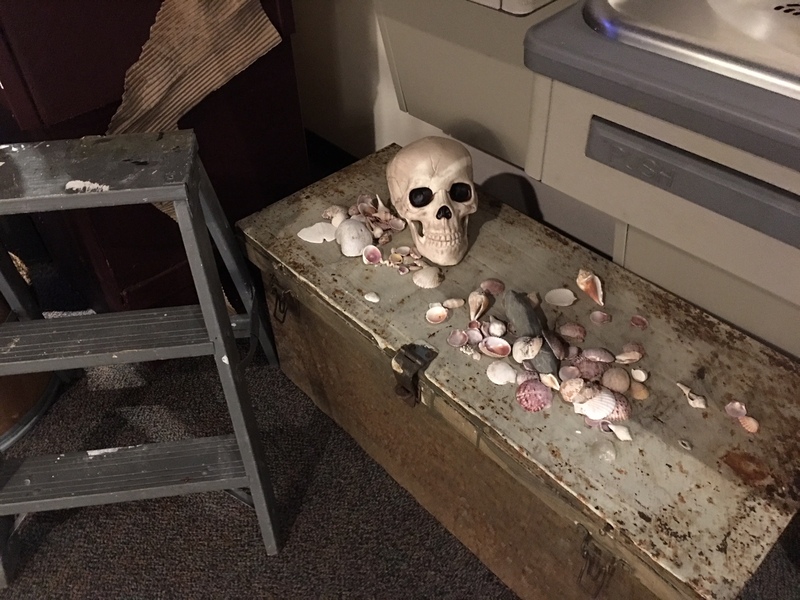 ” bellows out a young boy as he eagerly enters the pirate cove decorated outer lobby of the “Playhouse on Park” theater in West Hartford, Connecticut. On this early September Saturday, the playhouse is literally packed with folks, not only theater veterans, but excited young ones who have either dreamt of being Pan, Pirate or ‘Belle. Overheard over unwrapping candy and “do you have to go” – two children, a young girl, sipping on a milkshake, from neighboring A.C. Peterson and a older boy who states, “Baube- can I be like Peter Pan” – “Sweetie as long as you don’t fly around the room you can be anything”. The young girl now looking at them both, “well if he’s gonna be Peter Pan”, and now lowering her voice, “than I’m Batman.” Good for her! I am very proud of “Playhouse on Park” for providing an environment where live theater empowers learning, imagination, creativity and make believe – the benchmark of childhood. 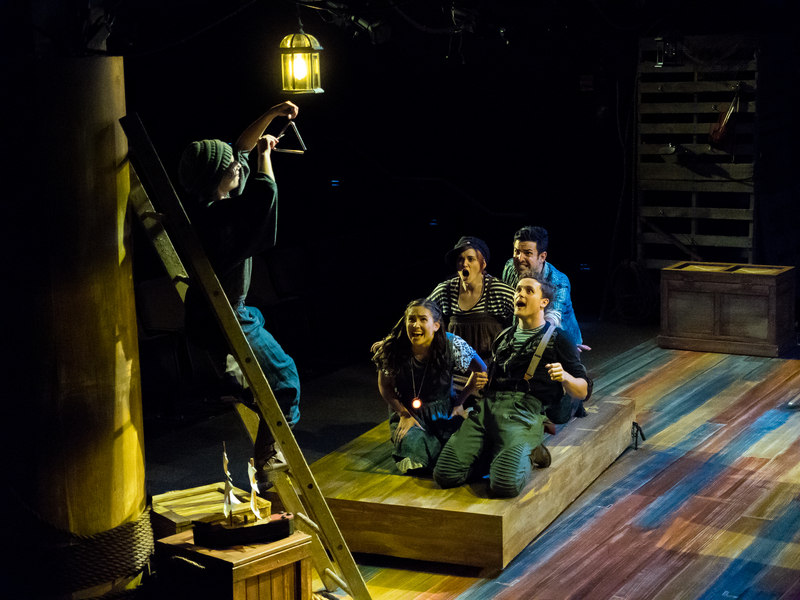 Case in point, “Peter and the Starcatcher”, an energetic backstory to the world of “Neverland”, “the boy who wouldn’t grow up”, Pirates, Tinker Bell, and infamy, infamy, everyone has it “in for me” – Captain Hook. Playhouse on Park opens their tenth anniversary season with the family friendly “Peter and the Starcatcher”, by Rick Elice and music by Wayne Barker, directed by Sean Harris, featuring a cast of 12 energetic actors, portraying over 100 characters who provide a riveting, and oh-so humerus pre-telling on how Peter and his adventure filled world of “Neverland” became legendary with those beloved classic characters that are known and loved the world over. 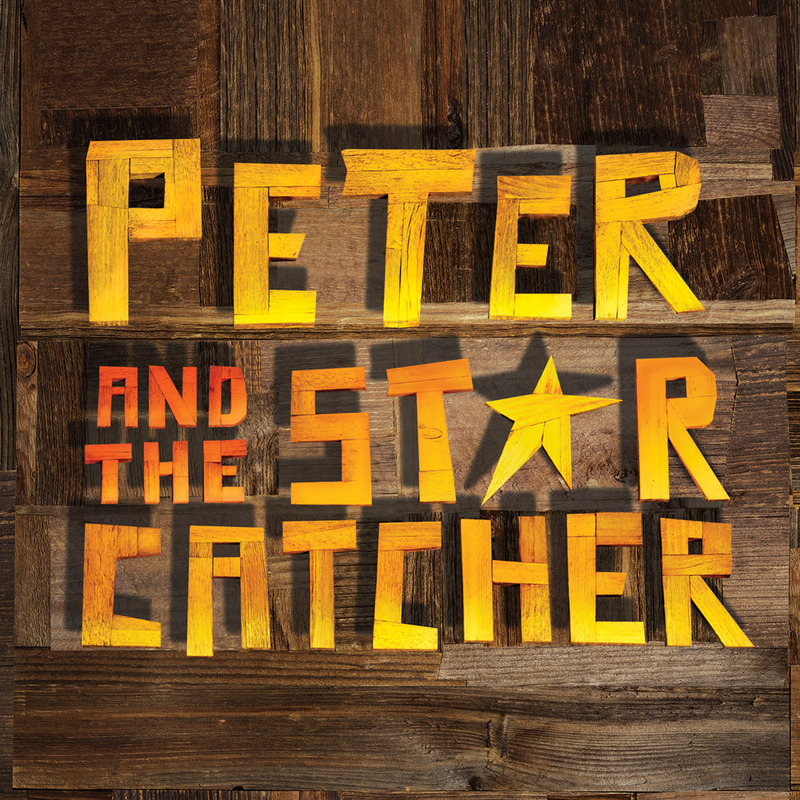 “Peter and the Starcatcher” premiered at the La Jolla Playhouse in California in 2009, and opened on Broadway at the Brooks Atkinson Theater winning 5 Tony Awards in 2012 including, Best Performance by an actor in a featured role and Best Costume in a play. It is 1885, the reign of Queen Victoria, two ships, the Neverland and The Wasp, set sail to the fabled kingdom of Rundoon. On the Neverland we are introduced to the bold and daring Molly ( Natalie Sannes) and three orphan boys, also hidden on board the ship a trunk full of the mysterious and magical “Starstuff”. Meanwhile, on the Wasp, Molly’s father guards a second trunk against pirates, especially that of the infamous “Black Stache”, (Matthew Quinn). During a raging storm at sea, both the trunks, Molly, the orphans, Black Stache and his minion Smee end up on a mysterious island, home to the local inhabitants, the Mollusks, their chief -Fighting Prawn and a very hungry crocodile named Mr. Grin. 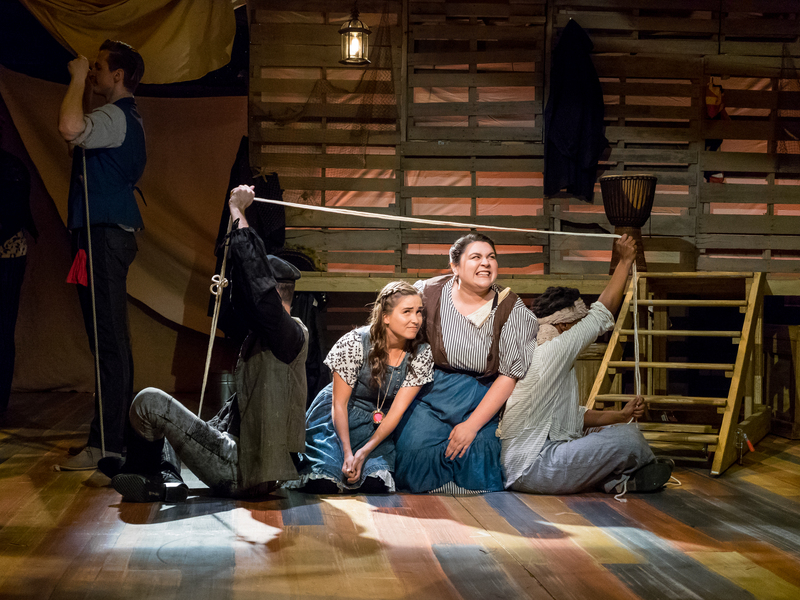 “Peter and the Starcatcher” compels the audience to use their imagination, which is what makes this production so much fun. There are no wires to get a Tinkerbelle or a pre Peter Pan afloat, but when the two ships, The Wasp and The Neverland, are depicted on stage as two small toy boats, one easily imagines a robust storm, two mighty sailing ships, and their valiant crews fighting the raging seas. A major high point during the second act is the serenade by the Mermaids and Mermen- deliciously comical as they perform “Mermaid Outta Me”. 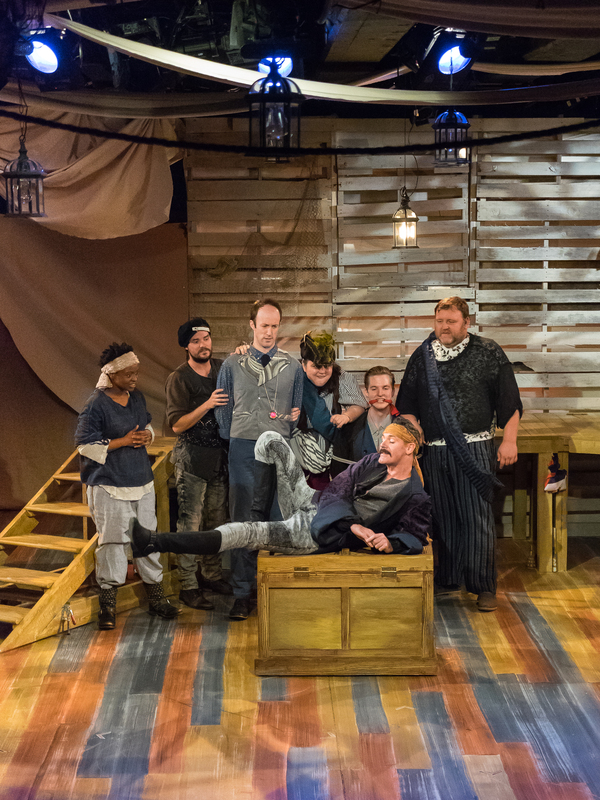 As mentioned, there is a cast of 12 actors providing a copious amount of characters from mermaids, lost boys and pirates – and simply put they are ALL wonderful and I send my kudos to the entire cast for their most energetic and effervescent performances. I do want to send out three “Howard Noticed YOU Awards”, firstly to Elena V. Levenson as “Fighting Prawn”, Colleen Walsh as “Mrs. Bumbrake”, and lastly James Fairchild- you made one hilarious mermaid- too funny. Enjoy! 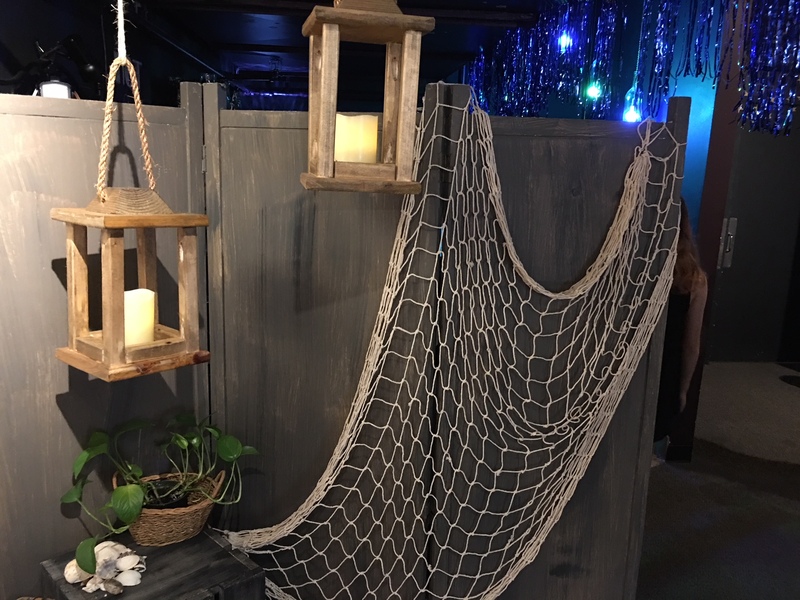 Tickets for the Playhouse on Park’s production of Peter and the Starcatcher are on sale now and can be purchased by calling the POP box office at 860-523-5900 x10 or visit www.playhouseonpark.org. Playhouse on Park is located at 244 Park Road, West Hartford, CT 06119. 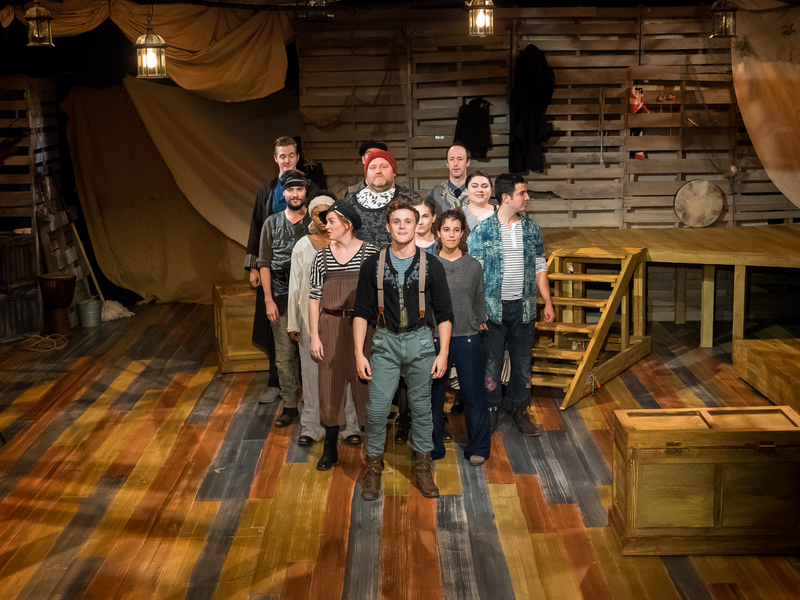 This entry was posted in Howard, Howard Steven Frydman, The Howard, Theater, Uncategorized and tagged Howard Steven Frydman, Peter and the Starcatcher, Playhouse On Park, The Howard, theater reviews. Bookmark the permalink.